Direct mail can be a powerful tool, but not if it’s thrown in the trash without consideration. The best way to keep your direct mail campaign out of the garbage is to earn the trust of your recipients. Powerful brand storytelling is the best way to do that. With the right story, readers will care—and they’ll be interested in your message. The first boost to your direct mail campaign comes from simple name, logo and branding recognition. Consistency is absolutely key to building brand recognition. You might send different types of mail, but your logo and branding should be visible and prominent on any mailing. Customers who know who you are and already view your company in a positive light will be less likely to trash your mail. Perhaps they’ve already been to your website and signed up for an offer. Perhaps they’ve purchased your products or services before. Perhaps you interacted at a trade show. Brand recognition helps you tell your brand story, mainly because it’s the key to getting that direct mail piece in the door and in front of more eyes, unlike “cold call” mail. One of the most important services you can offer is fast, friendly customer service. Never underestimate the power of a helpful smiling face or an earnest friendly voice. Your customers are where your brand story starts, because so many great customer stories stem from great customer service. Great customer stories are often the most powerful brand stories a smaller company can have—and one of the best ways to beat the competition. Build brand loyalty and make prospects and customers alike feel included in your direct mail initiative by telling stories about how you’ve helped people just like them. Your brand story should be about your company as well—and your people: who you are, how you treat your employees, the history of your company, even your location. It's the details that pull in your customers and help them get to know and trust your business. Loyal customers aren't just a faceless mailing list, they are people who care about you, your company, your mission, and your brand. If you know your customers, you know what's important to them. Your story should touch on these points. Will your customers respond to green energy initiatives? Support of a political party? How about perks for your employees? Your technical innovations? Find the elements of the way you do business that will most likely appeal to your clients and make them part of your brand story. Customers want to do business with companies they feel good about. Your customers have certain expectations, and chances are, they can buy what you're selling somewhere else. Direct mail should showcase your products and services in the best possible light—with stunning, colorful graphics that reinforce your brand story. No matter what you're selling, you probably face some stiff competition. If your prices aren't low enough to write home about, your brand story has to be impressive enough to gain a place in your customers' hearts. 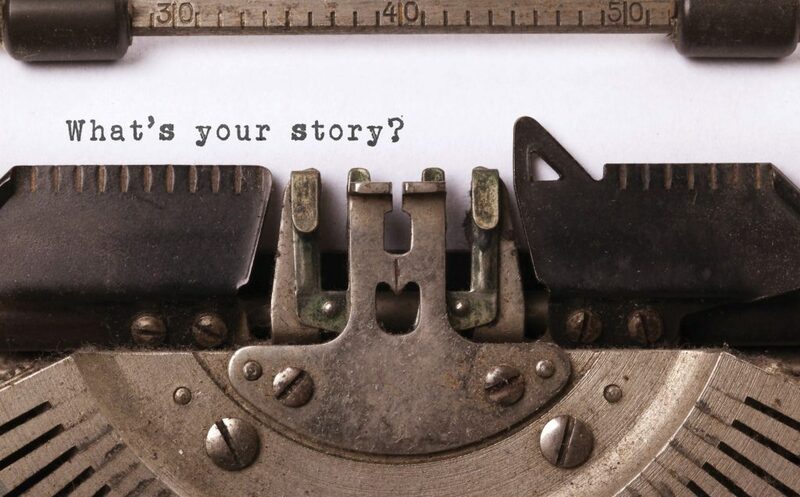 Powerful brand storytelling sets you apart, forges an emotional connection with your customers, and makes your brand uppermost in your customers’ minds when they think of your products and services or see your mailing. 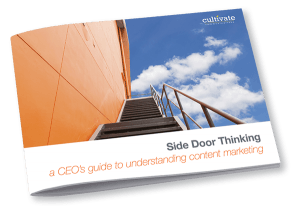 Tell a compelling story and you’ll reap the benefits of getting more eyes on your direct mail piece—and more leads in your sales funnel.